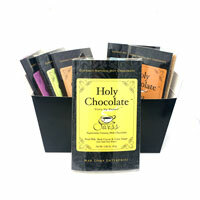 Variety samplers of our hot chocolates, truffles and candies make a terrific gift. 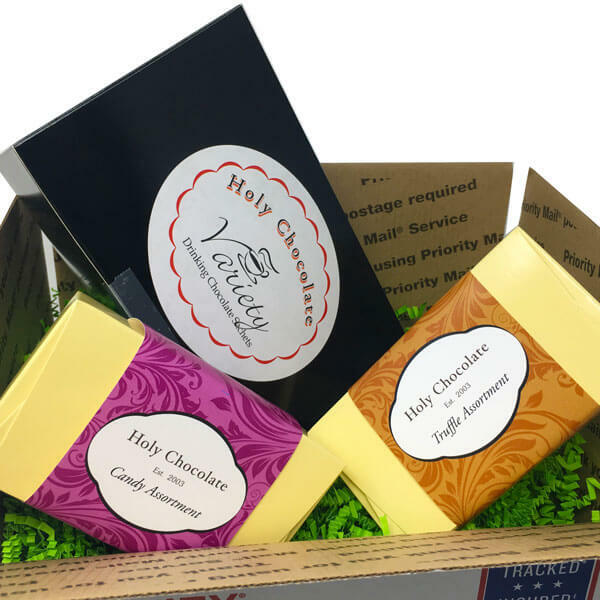 All of the fun of receiving a gift basket but without the waste. 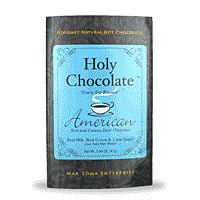 Dark milk chocolate in the American tradition. 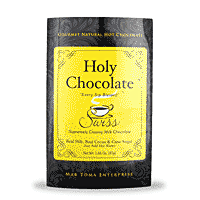 Not too sweet and not too dark, but it is rich and fudgy. Like a 55% bar. 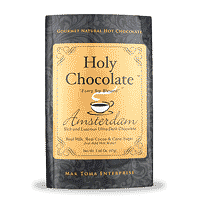 Ultra dark chocolate with the minimum amount of sugar. 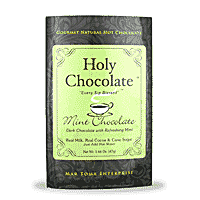 A very popular daily coffee replacer. Like an 85% chocolate bar. 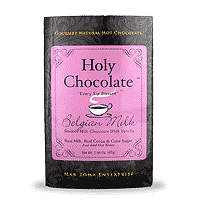 Our lightest, milkiest, sweetest cocoa with real vanilla. like a 28% bar. 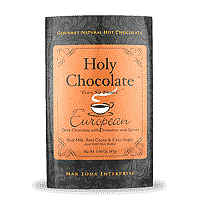 Viennese style very dark chocolate with cinnamon, ginger, and other real spices. Like a 72% bar. 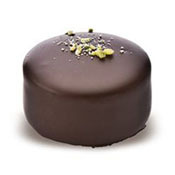 Dark milk chocolate with a smooth buttery mint flavor. Like a 55% bar. 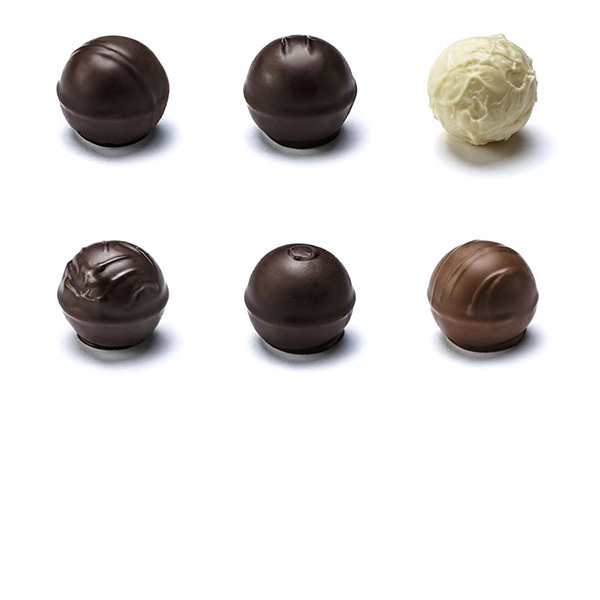 Supremely creamy milk chocolate. Sweet, but balanced in sweetness. Like a 38% bar. 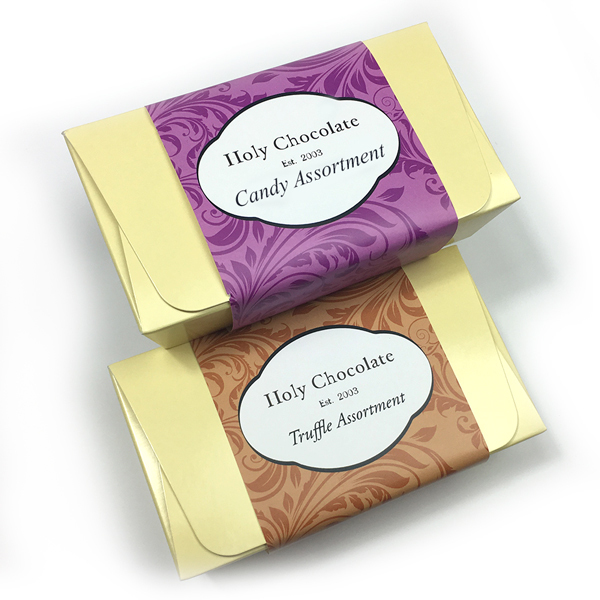 These cute boxes have a random assortment of our wonderful chocolate truffle candies. Imagine the delight as someone takes their first bite. 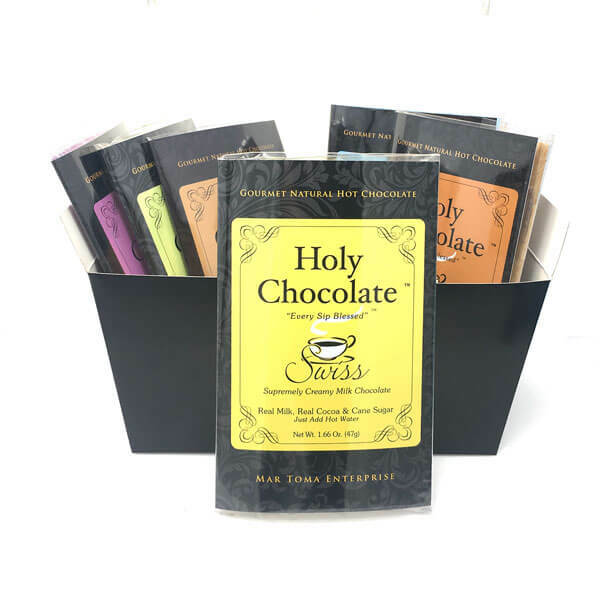 The pieces are not just sweet candy, but the pop of flavor and its sophistication is actually an entire experience. 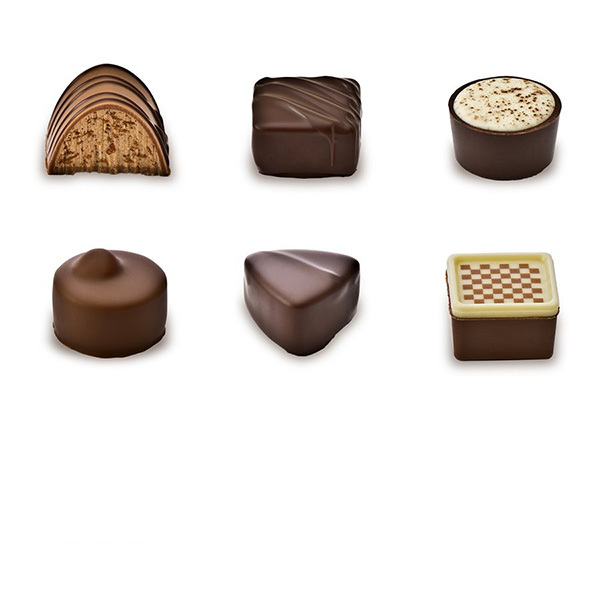 Some of the pieces are not available in the larger sets. So you get something special this way. 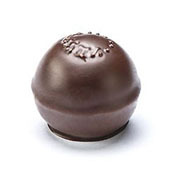 Dark Raspberry Truffle: A bright raspberry flavored dark chocolate ganache fills a dark chocolate shell. 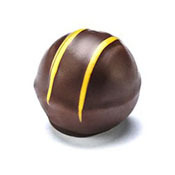 Dark Lemon Truffle: A lightly acidic and refreshing lemon flavored dark chocolate ganache in a dark chocolate shell. 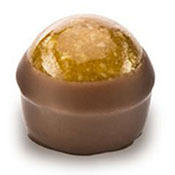 Passion Truffle: A tropical passion fruit flavored milk chocolate ganache in a creamy milk chocolate shell. 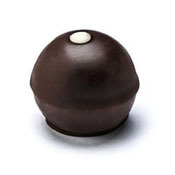 Dark Vanilla: Classic vanilla flavor blended with dark chocolate in a dark chocolate shell. 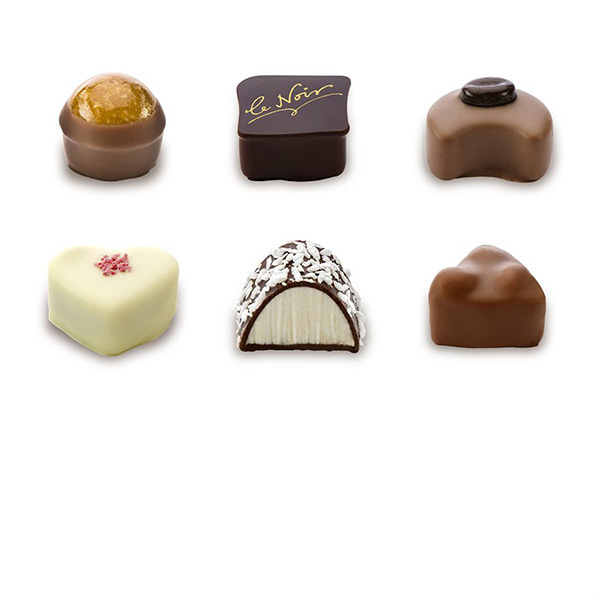 These cute boxes have a random assortment of our wonderful truffles. Imagine the delight as someone takes their first bite. 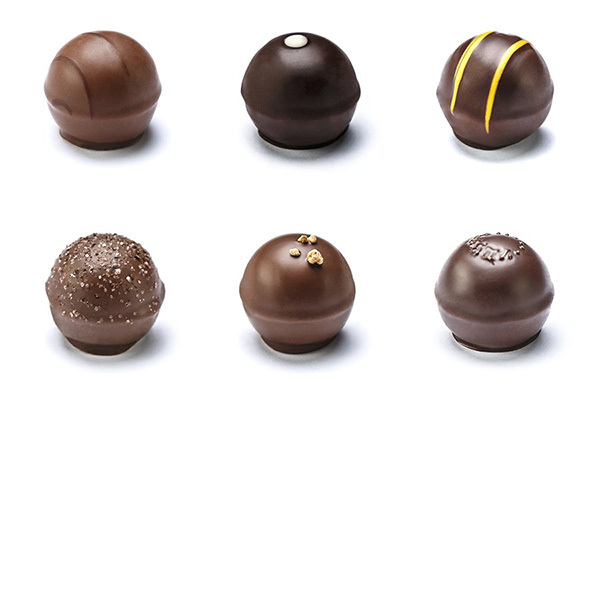 The pieces are not just sweet candy, but the pop of flavor and its sophistication is actually an entire experience. The choices are randomly picked but will be certain to delight you. This set will contain some pieces not included in the larger sets, like the ones below. 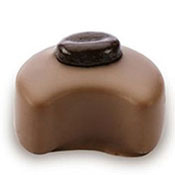 Caramel Hazelnut Chocolate: A crunchy caramel hazelnut cap over milk chocolate gianduja dipped in milk chocolate. 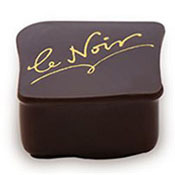 Le Noir 65%: A dark chocolate square shell filled with a rich dark chocolate ganache. 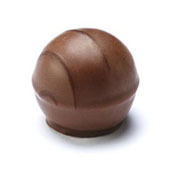 Latte Moon: Swiss milk chocolate with a roasted coffee center. 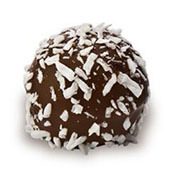 White Coconut: White coconut ganache center coated in pure Swiss milk chocolate and decorated with coconut flakes.